These album pages are designed especially for collectors of philatelic alternatives. 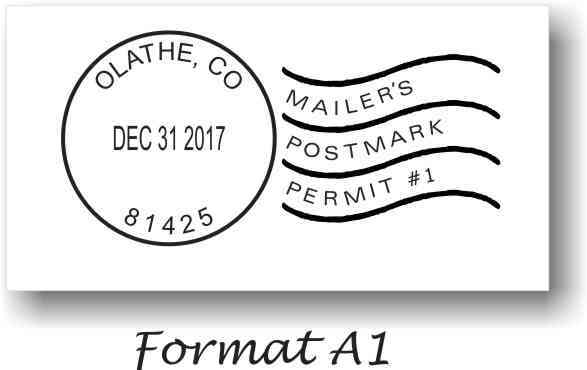 Specifically, those who have found artistamps to be just as much fun (and as valuable) as any other type of stamp collection. If you're new to the idea of collecting beautiful works of art on stamps, here's just the thing you'll need to enjoy the fun even more. Take your collection to the next level! Organize your art-on-stamps collection by topic or by artist for safe storage and display of your collection. acid-free) Ivory card stock on both sides of the page. name of the artist and topic. 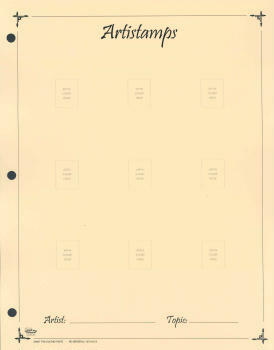 Each page is pre-punched to fit any standard 3-ring binder. Teaching Kids Through Stamps Is Fun for Everyone! to introduce kids to the lifetime of FUN to be had from stamp collecting! 10 ARTISTAMP Album Pages per package. This product was added to our catalog on Saturday 22 December, 2007.